The last thing you want after your loved one endures a stressful hospital stay is to be forced to readmit them. Hospital stays are both costly and emotionally taxing for everyone in the family. 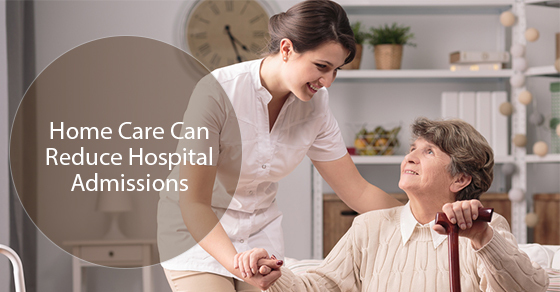 Sometimes returning to the hospital is unavoidable, but in many cases a trustworthy home care agency can reduce hospital readmissions. Older patients may have additional needs after a surgical procedure. Post surgical nursing support can relieve much of the worry that goes with returning home from the hospital. Even younger adults can require special assistance. The goal of home care after surgery is to help speed up recovery, provide assistance with activities of daily living and support any health care needs . Healing after a surgical procedure takes time and can be a slow process. Patients are weak and need help with mobility. A home care agency like C-Care Health Services can provide any needed rehabilitation services. Patients with chronic illnesses or who need pain management after a hospital stay are best served by a home care agency. Palliative care is an interdisciplinary set of health services aimed at improving the patient’s quality of life. These patients need to be comfortable and safe, and they require continuity of care. A home care agency is best equipped to provide all these services. A patient in pain due to chronic illness is in need of physical, emotional and spiritual support as well as care planning. At C-Care, we understand the importance of relieving the stress of illness and keeping patients comfortable and as pain free as possible. A personal support worker performs valuable services and responsibilities like recording progress, supporting the family through the patient’s illness, and cooperating with physicians and other health care providers. Patients with cancer, heart disease, dementia, ALS and Alzheimers would all benefit from a home care agency. Hospital stays can be frequent and limiting readmissions helps both the patient and worried family members. If your loved one suffers from chronic pain and illness, reduce hospital readmissions by relying on a professional to care for all their needs at home. Seek out the experienced and compassionate support of C-Care Health Services.